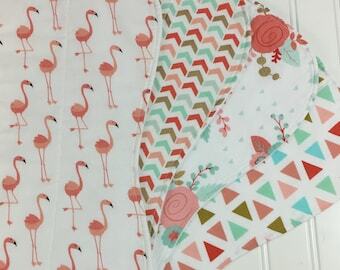 Baby burp cloths. Woodland Burp Cloths. Deer Burp Cloths. You will receive a set of three burp cloths. These cloths are made from the southwestern fabric from Arizona. 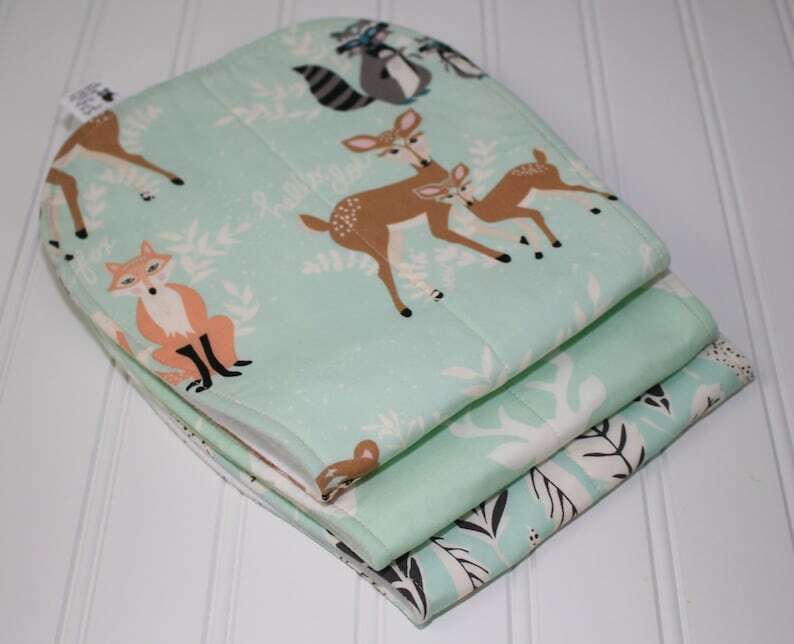 Love this fabric featuring woodland animals of deer, fox, bears, owls, and raccoons. I have purchased several of these burp clothes for family and friends over the last year and I love them. They are high quality and the seller worked with me to change out the material design for something I thought would better suit the person I was buying them for. I would highly recommend these for anyone you are considering buying them for. The quality is incredible! 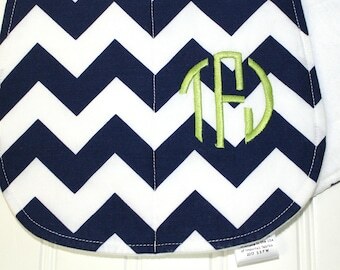 I got these as a gift for a friend that’s expecting but will definitely stop by again for my next little one! So beautiful! Best burp cloths ever!!! I’ve bought tons of them for my two babies and also for gifts!